-Teach the safe and responsible handling and use of firearms. -Provide a supportive team-based environment using the shooting sports as the catalyst for teaching life lessons and skills that emphasize positive character traits and citizenship values. 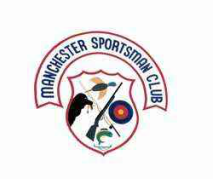 -Introduce young shooters to a sport that can be enjoyed for a lifetime, one that offers a level playing field, and one that offers all family members an opportunity to enjoy together. The SCTP is a team-based program, focusing on youth development. Participation in SCTP should be fun and there is no place for a win at all cost attitude. The Scholastic Shooting Sports Foundation, Inc. (SSSF), a 501(c)3 non-profit organization, is the National Governing Body (NGB) for Scholastic Clay Target Program (SCTP). SCTP was started by the National Shooting Sports Foundation in 2001.